“To Be, Or Not To Be.” That is the Geek Deal of the Day!!! 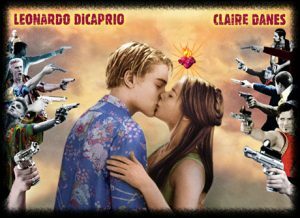 Today’s geek deal is the bluray of Romeo and Juliet. The Baz Luhrmann version with Leonardo DiCaprio, John Leguizamo, and Claire Danes. I really liked this film. I remember seeing it in the theater when it came out over a decade ago. I thought the film was beautiful, well acted, and I extrememly loved the old dialect that was used in the film. This bluray is on sale for only $12.99. That is 63% off the normal selling price. This would make a great Valentine gift. Purchase by clicking the picture link below. This entry was posted on Wednesday, February 9th, 2011 at 10:54 am	and is filed under News. You can follow any responses to this entry through the RSS 2.0 feed. You can skip to the end and leave a response. Pinging is currently not allowed. « The Chuck Palahniuk Book, “Snuff” Gets Some Actors For Its Film Adaptation!! !